In his website, artist Caleb Brown says "My paintings are cultural allegories that aim to reflect my view of the modern world." An allegorical picture is something that can be interpreted to reveal a hidden meaning. 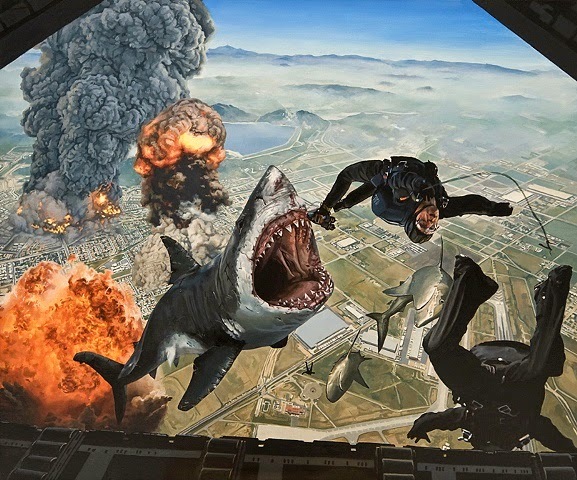 Brown's works feature exploding sharks and skydivers jumping out of planes. It's hard to think what could be the hidden meaning behind these but the artist says they are allegories so it's something the viewer may or may not want to figure out. About his paintings, Brown adds "My conceptual process begins by selecting themes and elements of contemporary life (such as media culture, genetic engineering, globalization, etc.) which seem important and interesting to me. 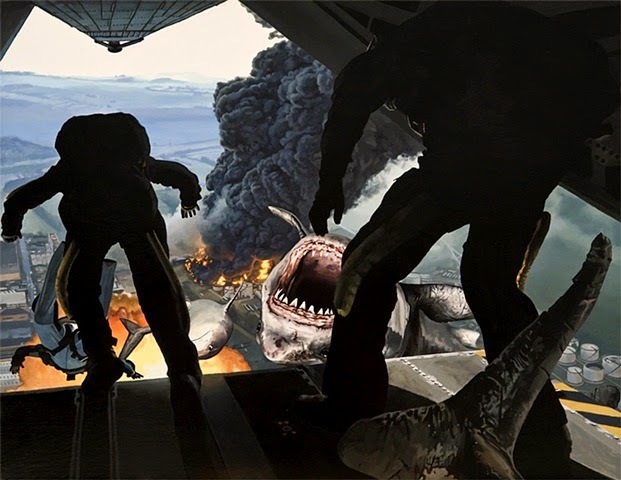 I then combine and expand those components into completely ridiculous scenes that depict a fictitious near-future or alternate reality. " 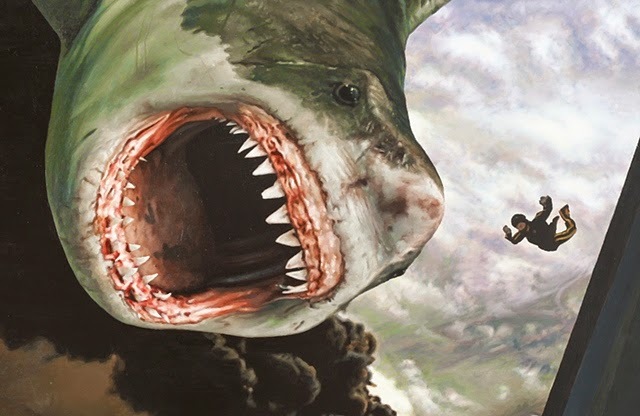 Brown's other paintings also feature characters like giant bees, otters, tigers, and bugs. For more about the artist, visit his website or his Facebook page.